Since I teach sports betting regulation and gambling law, I've been closely watching the developments as well. Although Nevada has had a robust sports betting industry for decades, New Jersey has been at the forefront of the push to legalize sports betting. In recent years, many other states have prepared for a ruling from the Supreme Court that would overturn the prohibition of sports betting. Even professional sports leagues - which have emerged as the leading opponents of efforts to legalize and regulate sports betting - are looking to cash in. According to the 10th Amendment of the United States Constitution, "The powers not delegated to the United States by the Constitution, nor prohibited by it to the States, are reserved to the States respectively, or to the people." For this reason, states have traditionally overseen and regulated casino gambling. The Nevada Supreme Court specifically recognized, in a case involving the infamous Frank Rosenthal (portrayed as Ace Rothstein by Robert De Niro in the movie "Casino"), that gaming is "a matter reserved to the states within the meaning of the 10th Amendment to the United States Constitution." The Bradley Act made it unlawful for any governmental entity, such as states, municipalities or Indian tribes, to "sponsor, operate, advertise, promote, license, or authorize by law or compact" any sports betting. In addition, the act prohibited any individual from operating any sort of sports betting enterprise. However, the Bradley Act exempted four states from the prohibition: Nevada, Oregon, Delaware and Montana. Of these four states, Nevada was - and remains - the only one with full-scale sports wagering. New Jersey was given a one-year window to legalize sports wagering, but the state legislature failed to take action within the allotted time. However, the major professional and college sports leagues - NCAA, NFL, MLB, NBA and NHL - opposed the legislation and filed a lawsuit to stop New Jersey from regulating sports wagering. In response, New Jersey claimed that the Bradley Act was unconstitutional because it violated the state's 10th Amendment rights to regulate gambling in the form of sports wagering. In 2013, the Third Circuit Court of Appeals ruled in favor of the leagues, and the U.S. Supreme Court declined to consider the case. The Bradley Act remained intact. New Jersey pressed on. Having lost on the argument that legalizing sports wagering is equivalent to "authorizing" it under the existing Bradley Act, New Jersey got creative and decided to simply repeal the state's criminal laws and regulations that prohibited sports book operations in casinos and racetracks. Once again, the sports leagues sued to stop New Jersey. In response, New Jersey argued that it would be a violation of the 10th Amendment if the state were prevented from repealing an existing law. Again, the lower courts and Third Circuit Court of Appeals ruled in favor of the leagues - but for the first time, the U.S. Supreme Court decided it would weigh in. It's important to note that this case is about more than sports betting, which is simply the subject matter before the Supreme Court. It has more to do with states' rights, and the decision has the potential to affect other areas of dispute, from marijuana legalization to the ability of cities to protect undocumented immigrants to gun control. There are several possible outcomes. 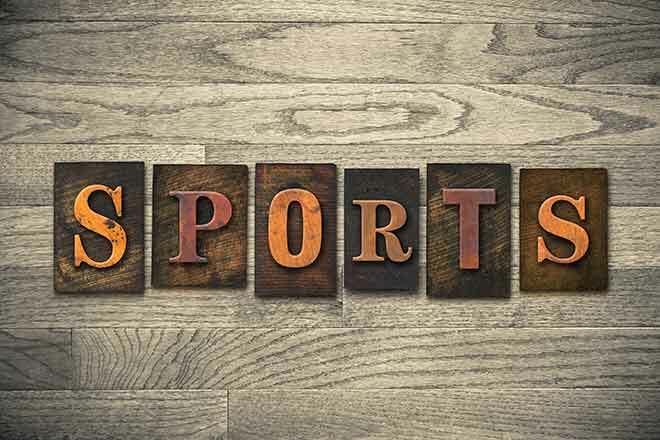 The U.S. Supreme Court could decide in favor of the leagues, which would mean New Jersey - and any other nonexempted state - would remain prohibited from allowing any sports wagering. Another possibility is that the court sides with New Jersey and allows the state to decriminalize sports wagering - on an either limited basis (in casinos and racetracks) or entirely - but not regulate it. However, there are many unknowns and issues that will need to be addressed: Will state-sponsored sports wagering be run by state lotteries or private enterprise such as casinos or racetracks? Will amendments be needed to permit Indian tribes to offer sports wagering? And will information on sporting events for wagering purposes - such as scores, outcomes or game statistics - be restricted to data generated from the leagues? There are already disagreements over something called an "integrity fee." In states where sports betting will likely become legal, leagues have been pressing to receive 1 percent of all amounts wagered on a sporting event. In Nevada - where legal, regulated sports wagering has taken place since 1949 - such a fee has never been in place. Instead, casinos simply pay the state up to 6.75 percent in a tax on revenues (which is the same tax paid by casinos on other forms of gambling), in addition to a federal tax of 0.25 percent on amounts wagered. States looking to legalize sports betting are proposing varied rates of taxation. But in the case of the Super Bowl, Nevada sports books only made $1.17 million, or 0.7 percent of the total amount wagered. So that means that if Nevada sports books had to pay an integrity fee on the Super Bowl, it would have lost money even before having to pay state and federal taxes, rent, employee salaries and the other costs of operating a sports book. From the industry's perspective, sports wagering isn't always as lucrative as it's often portrayed to be. For this reason, states must be educated and informed when considering whether to legalize sports betting. If they think they'll get a tax windfall for schools and roads, they could be sorely mistaken - especially if the leagues end up getting a cut.